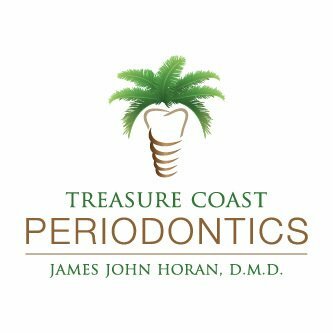 We are A WaterLase Laser Dentistry Certified Office and perform the Biolase WaterLase REPaiR™ Protocol for treating periodontal diseases and failing dental implants in Stuart, FL. 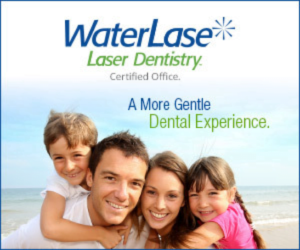 WaterLase dentistry is one of the most advanced dental treatments today. Finally, a new way to treat gum disease. Gum disease is caused by bacteria in periodontal pockets, deep in the gum tissue down to the tooth roots. Previously, the only treatment option was periodontal surgery with a scalpel and sutures, cutting your gums to reach and eliminate bacteria. Now, with the patient-friendly REPAIR periodontal treatment protocol using a Waterlase dental laser, we can preserve tissue and bone with a minimally invasive, laser-based approach. If you need just one tooth treated, or your entire mouth, laser technology helps us take better care of you and your oral health. “The laser treatment was easy and there was no pain. I have had traditional gum surgery before, and it was uncomfortable and painful. I would choose laser periodontal treatment every time over traditional surgery” – Richard E.
It’s Not Just Gum Disease. It’s Your Health. If you have been told that you have gum disease, you are not alone. Nearly 70% of adults have some form of gum disease. The most important thing to know about gum disease is that you shouldn’t ignore it. Left untreated, gum disease will result in receding gums, bone loss, and ultimately may cost you your teeth. Studies show that periodontal disease is associated with heart disease, diabetes and cancer. It’s important for your overall health that you get treatment. Today’s laser technology is a major advancement in treatment. Patients treated with laser energy simply recover more quickly. The Waterlase performs incisions precisely and disinfects the operative site as it works, to help you heal faster. “After having this procedure done with the Waterlase, my doctor was able to save my implant and I was not in pain after treamtment.” – Collen M.
Peri-implant diseases are inflammatory conditions affecting the soft- and hard-gum-tissues are dental implants. Similar to a natural took, bacteria can build upon the base of the implant, below the gum line. Over time, the bacteria can irritate the gum tissue, causing it to become inflamed, damaging the tissue. If not caught early, it could also cause the bone structure below the implant to deteriorate. Peri-implant mucositis—gum inflammation is found only around the soft-tissues of the dental implant, with no signs of bone loss. Generally, peri-implant mucositis is a precursor to peri-implantitis. Evidence suggests that peri-implant mucositis may be successfully treated and is reversible if caught early. Peri-implantitis—gum inflammation is found around the soft-tissue and there is deterioration in the bone supporting the dental implant. Peri-implantitis usually requires surgical treatment. The Waterlase laser doesn’t involve scalpels or sutures, and it allows for a cleaner surgical environment. The laser also makes it easier for your dental team to handle cases of peri-implantitis, or destructive inflammation that sometimes occurs in the surrounding tissue of a dental implant. One Doctor. One Fee. One Location.TM At 772 Implant, we not only offer the highest quality dental care but the most convenient. So, if you’re interested in learning more about our state-of-the-art laser technology, contact us to schedule a consultation today!